What I love most about Beverly Cleary's books though are that they really do have a timeless feel to them. I read them when they were considered "outdated" but I didn't care. I could relate to Ramona and she was so funny and spunky that I didn't care what time period her adventures took place. Working in the library now, I still recommend Beverly Cleary's books and come across young readers who are fans of those books. Happy Birthday Ms. Cleary and thank you for writing some of my favorite children's books! This show was my favorite as a kid, though I was traumatized by her hard boiled egg incident. I had no idea that was Sarah Polley! Thanks for the memory lane trip! I loved the Ramona books growing up. My mom used to read them to me at night before I started reading on my own. I will always associated those books with her. But I loved her other books as well, mostly the childrens books because I don't think I read much of her YA. Oh Romona!! I loved those books. I even had a Romona Diary. I shouldn't have posted though, I'm totally dating myself! I LOVED the Ramona series as a kid. I remember watching the show and I'll never forget when Beezus and Ramona tried making chicken and didn't use the paprika-- I think they used chili powder instead. Such a great trip down memory lane! Thanks! Aw, Ramona! They were my favourite MG books as a kid. The Ramona books were the first books that made me actually love to read. I didn't know that Clearly is still alive. She and Judy Blume are some of my favorite writers! 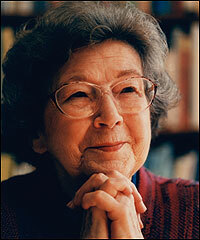 It doesn't get better than Beverly Cleary, does it? I never read Ramona, but I loved her Ralph the Mouse books! Our AEA has the Ramona series available for check-out. I have brought them home many times for my own children to watch. We love them!